There’s something about a Sunday drive that seems to be genetically programmed into farmers. We take the long way home from church, from family breakfasts, or from a ball game just to see how our piece of the world is doing. My grandfather did it. My father did it. And now I find myself doing it, taking intentional wrong turns along the county roads to see what’s growing. We’ve dipped fully into May, and despite the recent swings in temperature, it appears we can officially say we’re clear of winter. The ground has warmed substantially, and the pastures are well on their way to a lush green. It seems early for such full color and height; pastures that would normally take another month before grazing look ready for cattle right now. That’s not just good luck. That’s UF-Riata. 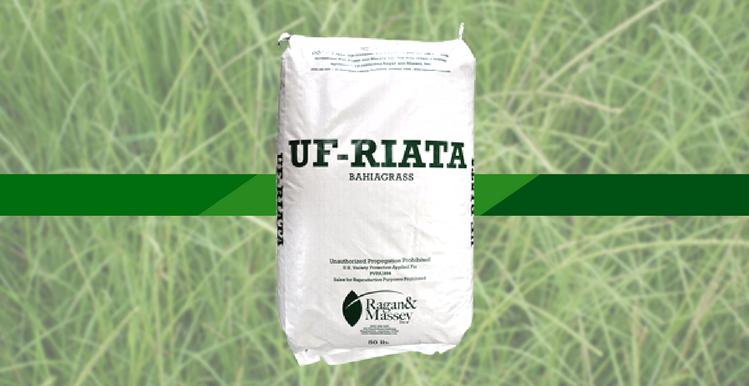 UF-Riata was specifically formulated by the University of Florida to give us southeastern farmers (but for the most part our cattle) a longer season to chew on. What they developed is nothing short of amazing; here is a bahiagrass that is more day-length resilient than its Pensacola-type counterparts adding almost a month to each side of the grazing season. This means more fresh grass for cattle, and it definitely means more hay; some farmers get as many as two extra cuttings in one season. All this is to say that it’s not a question of if you should plant UF-Riata. It’s a question of when. And this grass gives you plenty of choices in that regard. As a perennial, UF-Riata is a resilient plant that’s best sown in the spring, usually sometime in March, depending on soil and weather conditions. This time of year, its biggest competition is cool season weeds; once the grass has taken hold, however, its strong root system will crowd out any interlopers. It has strong success as a summer and fall planting, too, under the right conditions. Given enough water in the summer and enough time to leaf out in the fall, UF-Riata could be one of your better pasture investments—and one of your better views from the driver’s seat. It’s seeding season for UF-Riata. Have you experienced the difference it can make?